Byron J. Mouton is an established architect, educator, New Orleans native, and alumnus of Tulane University. He has traveled a path from New Orleans through Harvard’s Graduate School of Design to professional practice in Central Europe, and eventually back at home. He now finds himself committed to building his locally-based practice BILD Design, in conjunction with his academic role as Professor of Practice at Tulane’s School of Architecture and Director of the school’s design/build program URBANbuild. From 2011-2014 he served as one of the founding endowed Social Entrepreneurship Professors in the universtiy-wide program in Social Innovation and Social Entrepreneurship (SISE). With more than 20 years of experience in the fields of architecture and construction, several award-winning projects, and exposure in national and international publications, Byron is committed to critical assignments that exemplify a collaborative planning approach and a dedication to the regional remediation of New Orleans. As a local, Byron understands the impact of pre-Katrina problems on a post-Katrina world and the challenges set forth. The comprehensive nature of such tasks fuels his investigations in pursuit of progressive contextual infill possibilities that encourage and advance the revitalization of New Orleans’ urban fabric. Over the past 20 years, as Principal of BILD, Byron has explored alternative models for affordable housing within the context of the city’s sometimes peculiar setting, and he continues to offer the city progressive options for domestic growth in the face of on-going challenges. Byron has been an invited studio critic and speaker at a number of universities, nationally and internationally. He often volunteers his time to participate on local panels related to New Orleans’ built environment, and was actively involved in the 2011 National American Institute of Architects Convention hosted in New Orleans. Tiffany Lin is a licensed Architect and Associate Professor at Tulane University. Lin received a 5-year Bachelor of Architecture degree from Cornell University and a post-professional Masters in Architecture II degree from Harvard University, where she was the recipient of the Faculty Design Award and the Housing Design Prize. Since 2009, she has taught design courses across the five-year curriculum at the Tulane School of Architecture, serving as the coordinator of core design studio­­­s. Prior to teaching at Tulane, Lin lived and practiced architecture in Boston where she co-founded the firm LinOldhamOffice. The work of LOO was selected for the Architecture League of New York’s Young Architects Forum in 2005. Their 8 Container Farmhouse was also awarded a Progressive Architecture Award the same year. During her term in Boston, Lin taught design studios at Northeastern University and worked in the offices of Machado and Silvetti Associates, and Leers Weinzapfel Associates. Her recent partnership with Judith Kinnard yielded the winning design for an off-grid disaster relief prototype which received an AIA New Orleans Honor Award. In addition to teaching and practicing architecture, Lin continues to experiment with painting and collage as media of tactile, spatial investigation. Her two-dimensional works have been exhibited in Cambridge, MA and New Orleans, LA. Jason graduated from Auburn University’s School of Architecture in 2008, and is an alumnus of that program’s Rural Studio. Between 2007 and 2010, Jason studied, lived or worked abroad in Mexico City, Korea, Japan, China, and Sri Lanka. He returned to the states in 2010 and resided in Los Angeles for two years working as a builder on a number of different projects - of varying scale. Eventually, Jason returned to graduate school at the University of North Alabama, fully funded, to become more familiar with emerging ideas in the broad field of geospatial science. Jason seeks and nurtures an expansive perspective on the relationships between architecture, ecology, human economy, urban space, and the rural-urban interface. Eventually, Jason was drawn to New Orleans in 2015, to work in collaboration with BILDdesign/BILDconstructs. In the studio, he aids with conceptual project initiation, architectural developments and the production of construction documents. In addition, he is often on site participating in the construction of bild projects. Jason is a young 21st century renaissance man; he also maintains a fascination toward and unshakeable love for the city, for his wife, and for their three children. Daniel first worked with Byron and the bild team as a member of the URBANbuild 8 design/build crew in 2012. Since then, while completing his studies and earning his BArch and MArch degrees from Tulane’s School of Architecture, Daniel has collaborated with bild on a number of different projects. His fascination with material assemblies and commitment to precision in fabrication aids in the team’s ability to provide quality product. Daniel is passionate about the responsible use of reclaimed materials, and he has the patience needed for the complicated resolution of difficult connections. He’s also an accomplished welder and metal worker. Hence, Daniel is now beginning to work part-time with Tulane’s School of Liberal Arts as Adjunct Assistant Professor, managing their woodworking and digital fabrication facilities. Responsibilities range from teaching introductory safe work practices to helping graduate level artists realize their visions, while gaining personal access to the facilities for the advancement of his own material research. With a creative eye and succinct voice, Julie helps clients communicate visual identity and message to elevate their position in the marketplace. An organizer with high energy and attention to detail, she is a dedicated professional with a passion for creating powerful and beautiful solutions. With a background and formal education in architecture and interiors, Julie approaches graphic projects and marketing from an architectural angle, using images and words like building blocks. She has guided brand development for a wide range of clients over the last 20 years—from architects and contractors to boutique retail and restaurants. 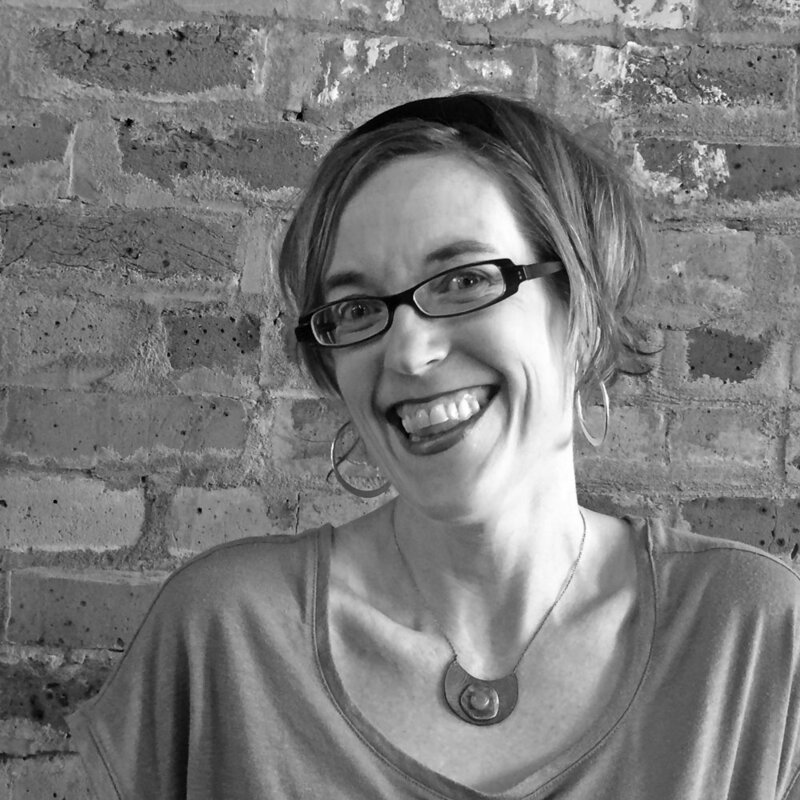 Julie has a unique talent for employing graphic design and writing to effectively communicate the larger story of a project. Her portfolio includes logo design, collateral materials such as business cards and letterhead, brochure design, special event mailers, magazine ads, website design, awards submissions, and numerous proposals and pre-design reports. Currently, Julie works nationally with Gould Evans Architects as a Senior Marketing and Graphics Associate in their New Orleans studio. Prior to joining Gould Evans, she had her own free-lance graphic design business Jacworks, and also worked with Eskew+Dumez+Ripple Architects in New Orleans. Julie is originally from Central Florida and holds both a Master of Architecture degree and Bachelor of Design in Interior Design degree from the University of Florida.